The MI-LZR high sensitivity LASER based intelligent smoke sensor provides an extremely high sensitivity to fire conditions, by detecting the earliest particles of combustion. This is achieved by combining a patented optical chamber, the latest in LASER diode and precision optical technology. This combination enhances the sensitivity of the device. Sophisticated processing circuitry and smoothing filters help eliminate the effects of transient environmental noise, which can be the cause of unwanted alarms. The result is a very sensitive and stable sensor able to achieve sensitivities of 0.07 % to 6.56% per metre obscuration - up to 100 times more sensitive than a standard photoelectric smoke sensor. 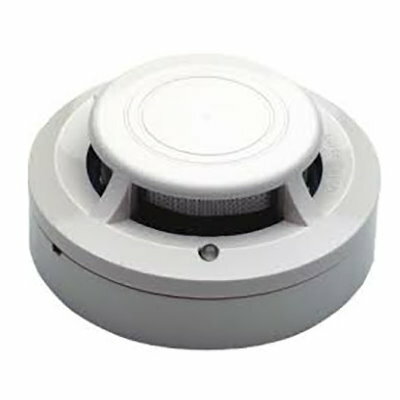 Historically, photoelectric smoke sensors have shown a quick response to slow smouldering fires, whilst ionisation smoke sensors have responded quicker to fast flaming fires. The MI-LZR provides a good response to both types of fire by improving the signal to noise ratio. The use of a LASER enables detection of small particles (usually associated with fast flaming fires), that are not as easily detected by a standard photoelectric smoke sensor. A quick response and pin point accuracy makes the MI-LZR especially suitable for environmental applications where there is substantial cost for down time or a significant investment in installed equipment has been made. Typical installations are Electronics manufacturers clean rooms, telecommunication rooms and computer rooms.